Recording • What Child Is This? You can now stream audio clips or purchase the album as a physical CD or as digital download - the entire album or individual tracks - right here, right now - with the CD Baby Music Player below. This newest offering from Paul Halley and his choirs is spiced with inventive harmonies and textures. A beautiful array of carols for Christmas. $12.99 NEW PRICE for CD AT PELAGOS IF YOU'D PREFER TO BUY FROM US. "This Christmas album is in a class by itself. Nearly half of the 21 pieces are arrangements by Paul Halley, who brings a fresh, lively, sometimes daring approach to traditional tunes. His harmonic progressions are colored by jazz sonorities and zesty rhythms. His modulations may catch one off guard, but they lend an air of joy and surprise that is delightful. Halley is a master of the descant; his treble lines are alluring and eminently memorable. His text painting is vivid; his setting of “Good King Wenceslas” is particularly noteworthy in its casting of the story set in its five stanzas. His two ensembles, Chorus Angelicus and Gaudeamus, produce a pristine sound, their youthful freshness, vibrancy, and delectable sweetness balanced by musical maturity abetted by superb balance, blend, diction, and intonation. This is all the more evident in the ensembles’ renderings of standard repertoire, including Victoria’s O Magnum Mysterium, Rachmaninoff’s Bogorόditse Devo, and Ireland’s The Holy Boy. These performances are as compelling as any. Christopher Lane skillfully collaborates at the organ, adding another layer of color and interest. All is captured beautifully in pleasing acoustical environments. This is a unique, colorful musical garland that is certain to add joy and spice to the holiday season – or any time of year!" "Depending on their tastes, you can safely choose one of the four discs listed above and please nearly every choral aficionado on your holiday gift list. If I could afford to order these by the dozen as stocking stuffers, I’d do it. Each is special in its own way. 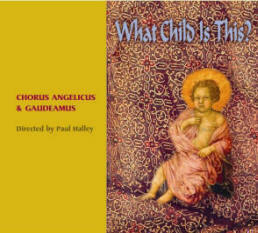 "With What Child Is This?, the 50-voice Chorus Angelicus children’s choir of New England joins forces with the Gaudeamus chamber choir under the direction of Paul Halley. Mr. Halley, who founded both groups in the early 1990s, chose the selections for this collection to include some of the most popular lesser-known works that these choirs have performed in their Christmas concert series in recent years and which, since 2004, have been broadcast on National Public Radio. Listeners will find many familiar favorites, including Mr. Halley’s arrangements of American and English traditionals. But they will also delight in the soaring voices on the Irish song 'Beannacht Leat', the prayerful quality of Rachmaninoff’s 'Bogoroditse Devo' (Ave Maria), and the precision with which the choirs perform Tomas Luis de Victoria’s Matins responsory for Christmas day, 'O Magnum Mysterium'. Mr. Halley’s own composition, 'Agnus Dei', is a particular treat. I hate to admit this for fear of being pilloried, but years ago I burned out on the "sounds of Christmas." For one thing, you hear them in Advent. And those medleys in which various tunes are smashed together in some not-clever way make my ears hurt. The secularism is bad enough but even the religious material is more than I can stand. So, I long ago turned to listening to the most obscure possible Christmas CDs, anything with melodies with words I don't recognize, anything to freshen up the repertoire -- from some far-flung country, from the 11th century by Anon. 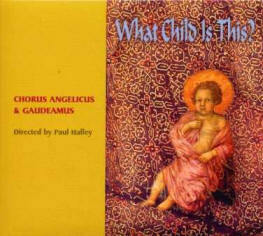 All of this is to say that I was prepared to not like a CD called "What Child Is This" by the Chorus Angelicus and Gaudeamus, directed by Paul Halley. Then I heard it. All I can say is that this CD takes popular Christmas music to a completely new level. The arrangements are just dazzling. The tempos are quick and charming. The balance of singers is impeccable. But above all else, I can't say that I've ever heard a children's choir that is so great. There are moments when your jaw just drops to the floor in astonishment at the beauty. I say it is popular music, but it is not entirely so. Vitoria is here. And Vaughan Williams. But even the old favorites are completely redone with ear-turning harmonies and transitions. Even the song I dread the most--"Go Tell It on the Mountain"--is actually good here, even bringing a smile to the face of this Christmas-carol crab. Just the other day, I received an email from Pelagos Music. It seems that, apparently, one of the “perks” of being Dean of this great chapter is being asked to review the occasional new CD release! At least that is what Pelagos, which is the music company representing Paul Halley, requested that I do for the Pipeline. Of course this involved actually laying hands on a copy of the CD in question; and so, after my enthusiastic reply in the affirmative, the album arrived. I quickly arranged a listening session in the theater of the Palazzo Vallillo, complete with a steaming cup of my favorite tea, and settled in for a listen. The names of Paul Halley, Chorus Angelicus, and Gaudeamus should be familiar to any music lover in Connecticut. Halley, one of America’s pre-eminent organists, was actually a member of this chapter for some years. One of the best improvisers around, his musical reputation extends beyond the organ world. The Choral groups he founded and leads, Chorus Angelicus and Gaudeamus, are famous for the marvelous quality of their harmonies. This, their latest album, certainly lives up to this well-deserved reputation. 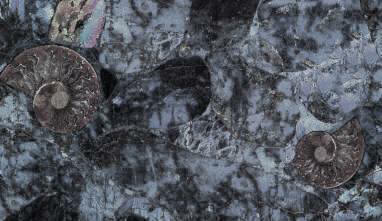 Beautiful choral music is to the ear what fine chocolate is to the palate: a delight to body and soul! When you add in some wonderful organ accompaniments from a master musician, the effect is sublime! There is a lot of music on this album, 21 pieces in all. For me, some of the selections, although old in a chronological sense, are new. There are also old favorites, many with intriguing new harmonies and, occasionally, melodies, just to keep things interesting! The technical quality of the recording is excellent, and the engineers have done a superb job of capturing the dynamic range from a whisper to a roar. I do wish there were about 5 additional seconds of reverberation after the final chords, but that might have ruined the crisp vocals! As it is, there is an excellent sense of three dimensional depth in the recording, even without “surround” processing in the playback process. The organ is superbly registered and recorded, balancing exactly with the choral voices – never overpowering or being overpowered. The vocals are sublime – ranging from the hauntingly ethereal to the “joyful noise” for which these groups are known! It is easy to imagine oneself in heaven, or at least in the musician’s suburb of it, when listening to the a-capella selections, particularly in “A Nativity” (track 14). I cannot give you a favorite selection, I liked them all! If you want to hear some really great organ accompaniment, try “What Child is This?” and “Good King Wenceslaus” in particular and enjoy the perfect balance of the voices with the King of Instruments. There are a few pieces in which I literally could not be sure if the singing was a-capella or organ accompanied – I suspect the latter, but the registration and blending is so good that the organ, if present, becomes literally another voice in the chorus. Now that’s Voix Humaine! "Paul Halley’s Go Tell It On The Mountain is an exciting and quite challenging arrangement of the familiar text and tune. Rich, jazz-inspired harmonies, carefully scripted syncopations, and a couple of tricky modulations, will keep everyone on their toes, but could well also bring a congregation to its feet. Also worth mention here, is Halley’s setting of Longfellow’s poem, 'Tis Winter Now. This is a richly atmospheric text not specifically tied to Christmas, but quite handy for a cold week sometime after Epiphany when a ‘general’ anthem seems to be in need. Global warming may soon put this piece out of business, but until it does, Halley’s setting evokes the frigid air as effectively as anything since Vivaldi’s fourth Season."